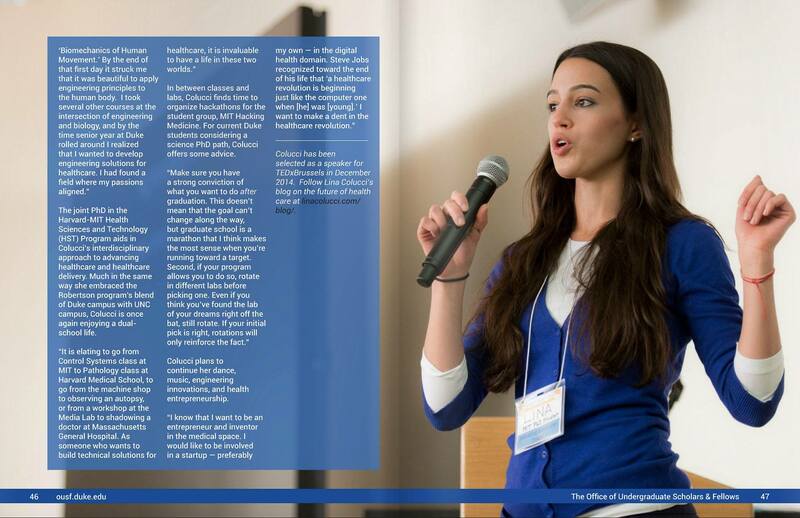 Honored to be featured in the inaugural issue of Distinction: The Scholars Magazine, a publication by the Office of Undergraduate Scholars & Fellows at Duke University. 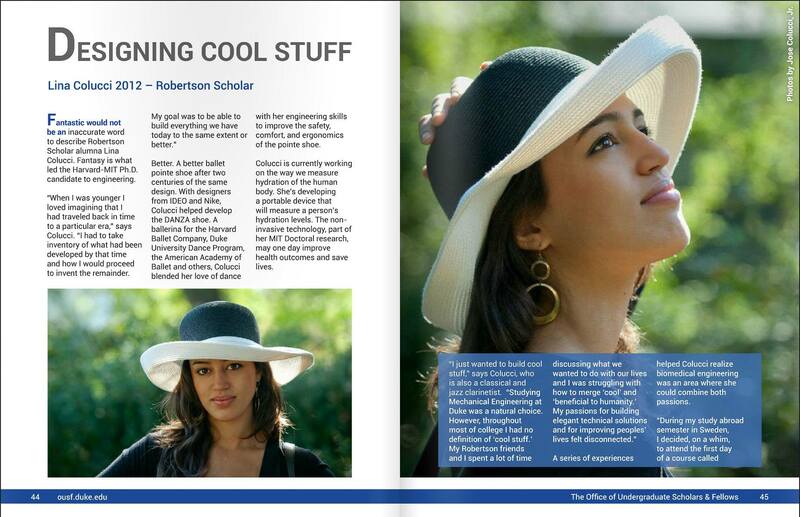 Being a Robertson Scholar meant I was one of 30 very lucky people each year to receive a full scholarship to attend both Duke and UNC for 4 years as well as funding each summer to pursue a project anywhere in the world. 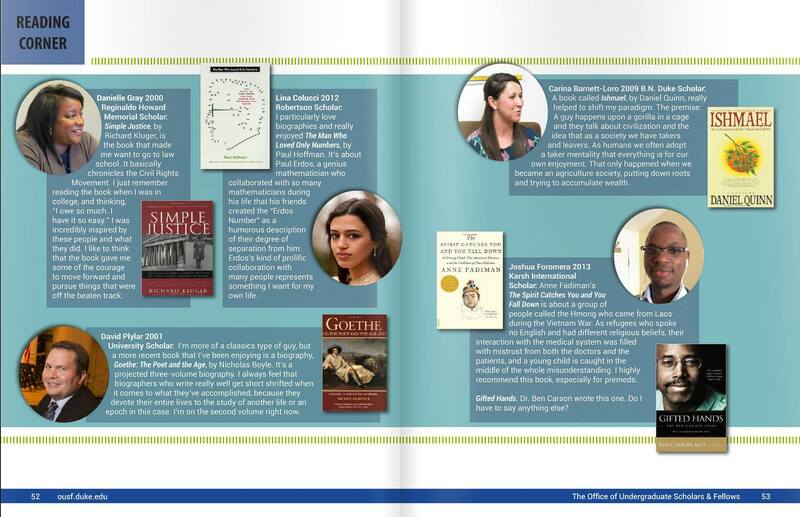 Link to full issue of Distinction (Fall 2014).